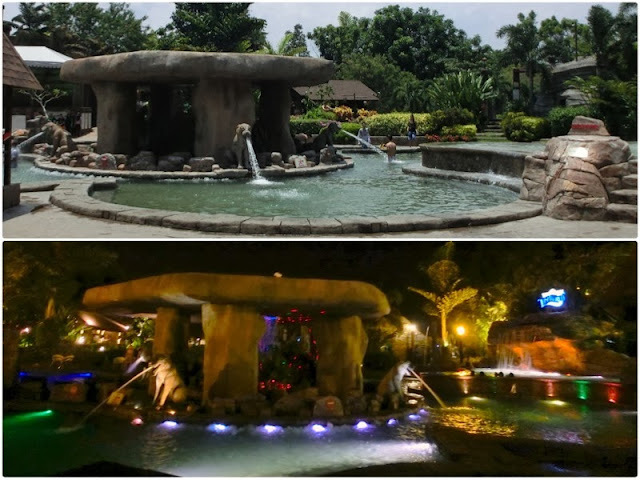 Now let's continue with the main attraction of the Lost World of Tambun: Hot Spring & Spa. Though you can access to Hot Springs on the day however, it is better for you to enjoy hot spring at the night. It is pretty hot to be in the hot spring pool during the day right? So~ I am going to show you the awesomeness of enjoying hot spring at the night. If you are wondering why hot spring is so popular, check out these benefits below. I was surprised hot spring can lead to healthy skin too. How I wish KL has a 100% natural mineral hot spring so I can immerse myself in the hot spring frequently for healthier skin. Weeeeeee~~~ The main entrance to Hot Spring & Spa. See that dragon behind us? It is a Steam-breathing Dragon. From left to right: Kah Mon, Maple, Carolyn and le me. Before we head to immerse ourselves in hot spring, we decided to fill our tummy with delicious BBQ food. Look at tall these hungry animals XD. Most of us were holding prawns LOL. The BBQ-ed prawns. I have no idea what kind of sauce of ingredients to make this prawns so irresistible. We could not have enough of these prawns. The prawns were so juicy and smells good even from far. Though I did not see their performances but I heard their songs while having nice food. There will be night performance on every weekend. These band are pretty good with any songs! They even sang Cantonese song with correct pronunciation. I took this picture from Jean, she is such a good photographer, isn't she? It is advisable to come for hot spring at night because the lighting effect is so good for a romantic and relaxing night outing. We did not spend much time at this lair because there were too many people around. Unfortunately, we did not go in to try on Lost World Steam Cave. It is a steam cave that allows people to walk from one end to the another end. Visitors are advised to not stay in the cave more than 5 minutes. Though we did not enter the cave, we heard other bloggers said the cave is hot! This is something I should not miss, apparently I missed it lah~ It is The Geyser of Tambun, whereby the hot springs water erupts every hour at certain timing. It erupts to a height of 40 feet with dramatic lighting and sound effects which makes you gazed at its wonderfulness. We did went up to Top of World Pool and spent some time there. The lighting effect made the Jacuzzi looked like as if it was boiling water. This is a Jacuzzi pool with pampering massage water jets. The temperature of the pool is 43°C and it is the hottest pool among of all. We went for a little walk at the foot spa. Apparently our Kah Mon leng lui quite noob on walking this. She was complaining about the painfulness while walking on the stone LOL. Crystal Pool is the highlight in Hot Spring & Spa area. We were bathed in the pool with colorful lighting. We came to this pool to adapt on the 40°C temperature of hot spring before we headed on to try on other pools. It was super hot at first but once my body adapted to the temperature, it turned out to be relaxing. We spent most of our time there because it was a private area dedicated for Butterflies on that night~ We enjoyed immersing ourselves in the water and Kah Mon even swam in the pool wtf. We got to experience the skillful massage technique from the workers there. She is really good at finding my "weak-points" and massage them accordingly. We then had a mask pampering session on the hands and face. They used Coffee Dead Sea Scrub to scrub off the dead skin, then they applied Coffee Body Mask on the scrubbed skin. These scrub and mask were specially created to pamper the bloggers. The mask gave an instant brightening and smooth effect to the skin. Lastly, let me show you my aunty face before I end my post AHAHAHA. 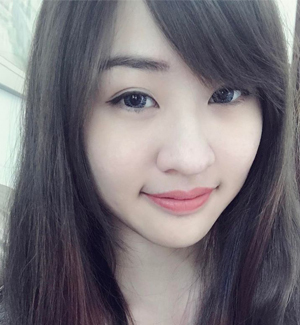 Embrace yourself people, le aunty face is here! Disclaimer: Some photos were taken from I Am Studio, Illy and Jean.